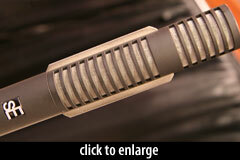 The CR-1 is the world’s first combination condenser/ribbon microphone. The body houses a traditional ribbon motor as well as a side-address small-diaphragm condenser capsule. The signal from these two capsules can be mixed internally, or output separately. The condenser capsule measure approximately 15mm in diameter. It is a true condenser design with a Cardioid pickup pattern, developed for the sE/Neve condenser, the sERN 17. The ribbon element is made of 2.2-micron aluminum. Like most ribbon transducers, it produces a figure-of-8 polar pattern. Each transducer has its own amplifier circuit, with transformerless output. The mic requires 48V phantom power. 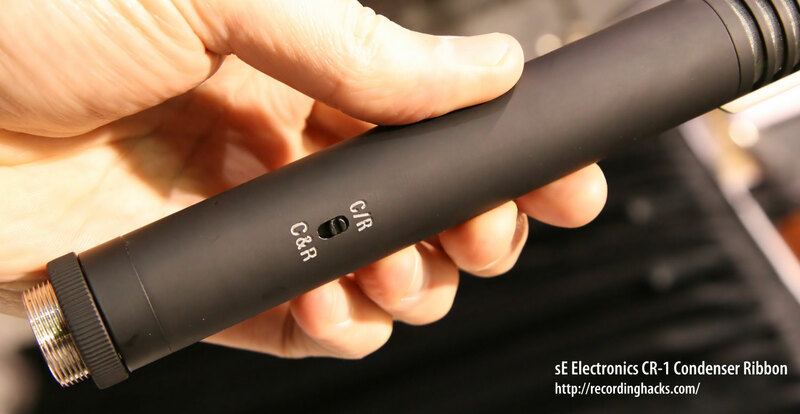 C/R - The ribbon and condenser outputs can be accessed separately via a breakout cable, enabling the recordist to combine the two signals via the console or DAW. C & R - An internal mixer with a crossover point around 8kHz combines the two signals into a single, mono output, with the condenser’s signal used above 8kHz, and the ribbon’s below. 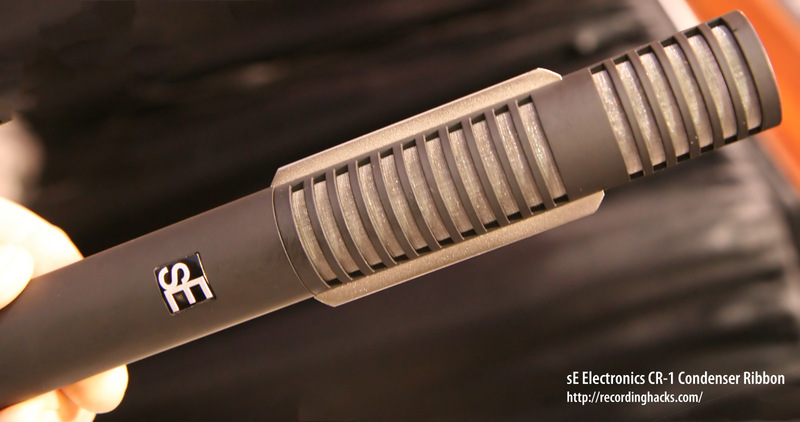 The mic was previewed to distributors at the Winter NAMM show in January, 2011. No release date has been announced. We will update this profile as additional details become available. Because the mic is still in development at the time of this writing, some of these details are subject to change.